Student organizations across campus are working hard to bring you important information, opportunities to participate and have some sustainable fun. Visit one of the booths during the week, get a ticket, enter your ticket to be eligible to win prizes (awarded at the end of the week). Check out these happenings and plan to attend a few to increase your Eco U knowledge! Wednesday, April 23: Conservation and Biodiversity – learn about invasive species and biodiversity. Union booth across from the Credit Union. Saturday, April 26: Round River Alliance is spearheading a Campus Clean-up from 9 a.m. – noon. Meet at Communiversity Park to get your cleaning info. 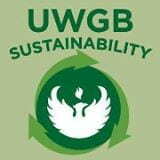 And remember that you can make every day and week on the UWGB campus an ‘Earth’ day/week by recycling, reducing and reusing whenever you can! Thanks to PEAC, Eco-Reps, SLO, Round River Alliance, SGA Environmental Affairs, DU UWGB Student Chapter for all their hard work pulling together these events! New Bike Shelter on Campus! A new covered bike shelter sprouted in the last few days on the triangle-shaped patch of ground between MAC Hall, the Library and ES. The first fully funded project from the student-approved Sustainability fee assessed to students each semester, the covered shelter was determined by the SGA environmental affairs committee to be both a visible and practical first project. 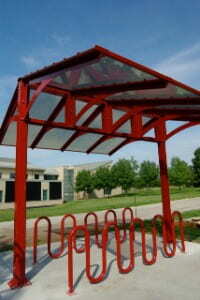 With a covered shelter, in a central location, the hope is that it will encourage students, staff and faculty to forgo driving to campus (even on a day where there might be predicted rain) and take a bike instead. Not only is choosing a bike ride over a car ride better for the environment, it’s also better for personal health and wellness. 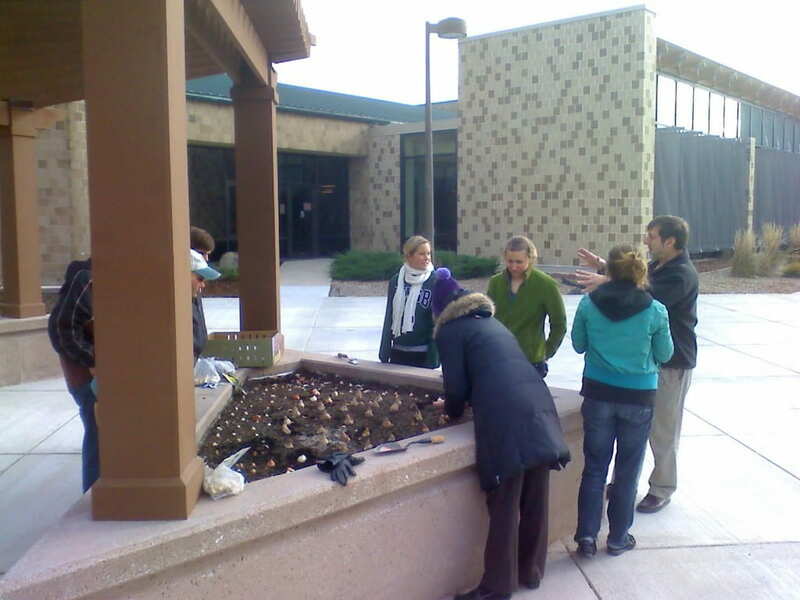 The campus Sustainability Committee also helped with the project cost by providing funding for the concrete pad. 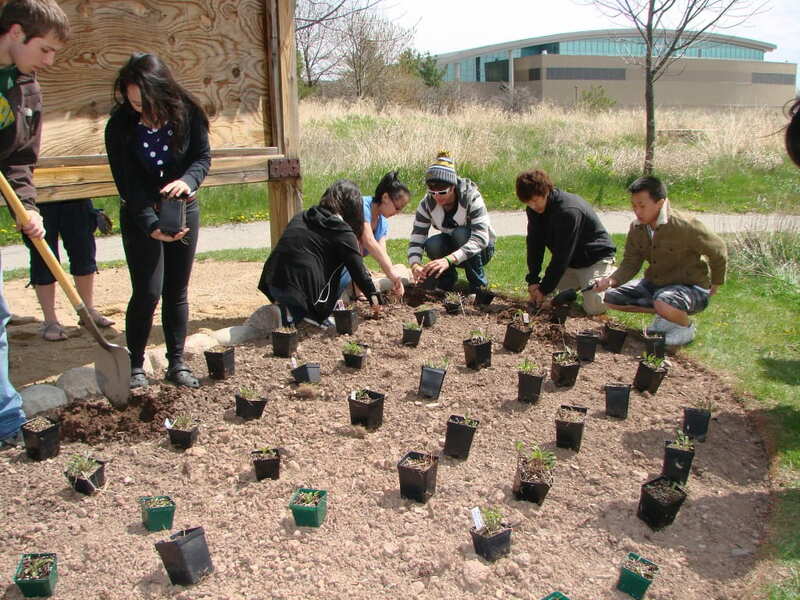 When the call went out for colleges and universities to participate in the Earth Day Network’s MobilizeU campaign, Jeff Cook, PEAC’s president and SGA Environmental Affairs delegate, signed up the UWGB campus. Halfway through the competition, UWGB is in third place out of 260 participating schools across the globe. MobilizeU is an international movement of concerned and active college students competing and uniting around environmental action in support of a sustainable future and supports the Earth Day Network’s global effort to Mobilize the EarthTM . 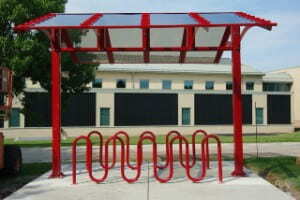 The competition encourages students to engage their campus communities in four weeks of environmental activism surrounding Earth Day 2012 (March 29 – April 29). Students work to generate as many “acts of green” – actions that either educate someone about the environment or reduce an individual’s carbon footprint – as possible. Acts of green are quantified by the number of people educated at an event or the number of service hours donated during a community project. 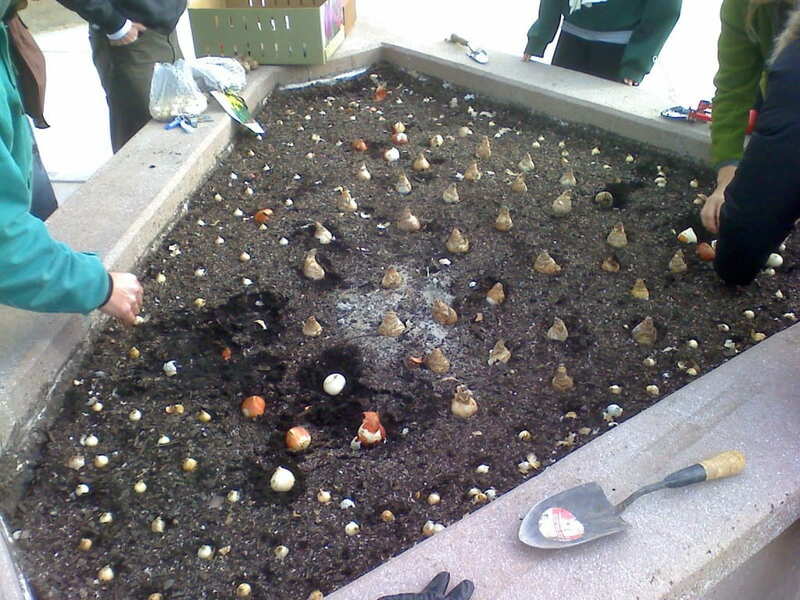 Some of the efforts undertaken by students during the month include wildflower and tree plantings, fight for your food film festival, canvassing the dorms to raise awareness about energy conservation for the Energy conservation competition, an e-waste collection drive, and promoting awareness about Earth Week Events in the 4th Estate newspaper. For more information visit the Earth Day Nework.